Trainer Ian Wilkes was especially impressed with Bricks and Mortar’s 2 1/2-length triumph in the $7 million Pegasus World Cup Turf Invitational (G1), considering that he had saddled Mr. Cub for a close second-place finish behind trainer Chad Brown’s rising star in a Dec. 22 optional claiming allowance at Gulfstream Park. Mr. Cub’s valiant effort against Bricks and Mortar will earn the son of Artie Schiller extra attention for Saturday’s $100,000 El Prado, in which he will be considerably more suited to the 7 1/2-furlong distance. Turf Stable II, LLC’s 5-year-old gelding pressed the early pace before taking a 1 1/2-length lead in the stretch before succumbing to the late surge of Bricks and Mortar. The multiple graded stakes-placed gelding won two of five starts, including a stakes victory at Churchill Downs, last year before tailing off in the fall. 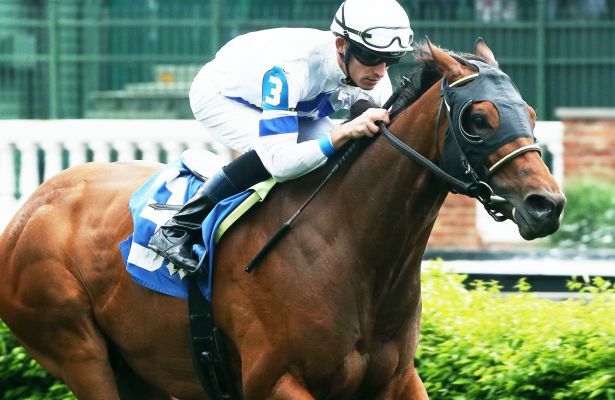 The Kentucky-bred turf campaigner, who finished second in the Tropical Park Derby during last year’s Championship Meet, returned to form in his first start of this season’s Championship Meet. Chris Landeros has the return mount on Mr. Cub. KCA Stable’s Cowboy Culture also enters the El Prado is sharp form, having captured a starter optional claimer in his first start of the Championship Meet and first start for trainer Norm Casse. Claimed out of a second-place finish in a $40,000 claiming race at Churchill Downs Nov. 8, the 5-year-old son of Quality Road is a graded-stakes winner who won the 2017 Arlington Classic (G3) before capturing the $200,000 Centaur Mile at Indiana Grand. Cowboy Culture proved his new trainer right, closing from off the pace and surging late to win by a neck in his first start for his new connections at Gulfstream. Robby Albarado has the mount. Trainer Michael Maker entered three of the 13 horses entered in the El Prado Wednesday; Grade 2 stakes-winner Hembree and Vici, who are owned by Three Diamonds Farm, and Freddie Lewis III’s Swagger Jagger. Hembree won the six-furlong Nearctic (G2) over Woodbine’s turf course three starts back before finishing 10th in the 5 ½-furlong Breeder’s Cup Turf Sprint (G1) over a yielding Churchill Downs turf course Nov. 3 and fourth in the six-furlong Turf Sprint Championship at Aqueduct Nov. 24. Vici, who finished a close third in the $500,000 Kentucky Downs Turf Sprint (G3) Sept. 8, has run in four straight graded stakes. Swagger Jagger finished fourth in the Sunshine Millions Turf Preview at Gulfstream Park last time out. Irad Ortiz Jr. has the call on Hembree, while Tyler Gaffalione has the mount on Vici and Jose Batista will ride Swagger Jagger. Also entered in the El Prado: William Schettine’s Krampus, who finished third in the Dec. 22 race won by Bricks and Mortar, Stonehedge, LLC’s Abiding Star, a veteran multiple-stakes winner who returned to winning form last time out; David Caprio’s Uncle B., who followed up a win in the Claiming Crown Emerald with a victory in a starter optional claiming race; Marc Detempel’s Siem Riep, who will be looking rebound from an-off-the-board finish in the Baltimore-Washington Turf Cup (G3) at Laurel that following three straight runner-up finishes in stakes company; Gabe Grossberg’s Siding Spring, an optional claiming allowance winner Jan. 6; Stride Rite Racing Stable, Inc,’s Renaissance Frolic, a multiple-stakes winner who finished fourth in the Tropical Park Derby Dec. 29; Susan and Jim Hill’s Holiday Stone, who chased the pace in the Tropical Park Derby before fading to sixth; and Olympia Star, Inc.’s Golden Dragon.